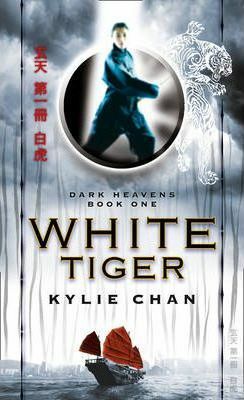 Kylie Chan's Dark Heavens trilogy is the most exciting Urban Fantasy debut of 2010. Already a smash-hit in the author's native Australia it brings a world of Oriental Gods, martial arts action and romance to the genre. "a fast paced novel with liberal quantities of romance, action and fantasy... White Tiger is a rich tapestry of culture, action and love and makes for good entertainment." "[the Dark Heavens trilogy] is impossible to put down... you're missing out if you don't rush out and get them"
Kylie Chan married a Hong Kong national in a traditional Chinese wedding ceremony and lived in Hong Kong for many years. She now lives in Queensland with her two children. White Tiger is her first novel.